In the past few years, design techniques and human-centered approaches have gained popularity across many industries. In sectors as diverse as retail, healthcare and education, design tools and frameworks have proved useful to reinvent business models and improve the user experience. We are not talking about design as in “what graphic designers and creative people do”, but in a broader sense: design as a practice based on a set of processes and a concrete mindset. 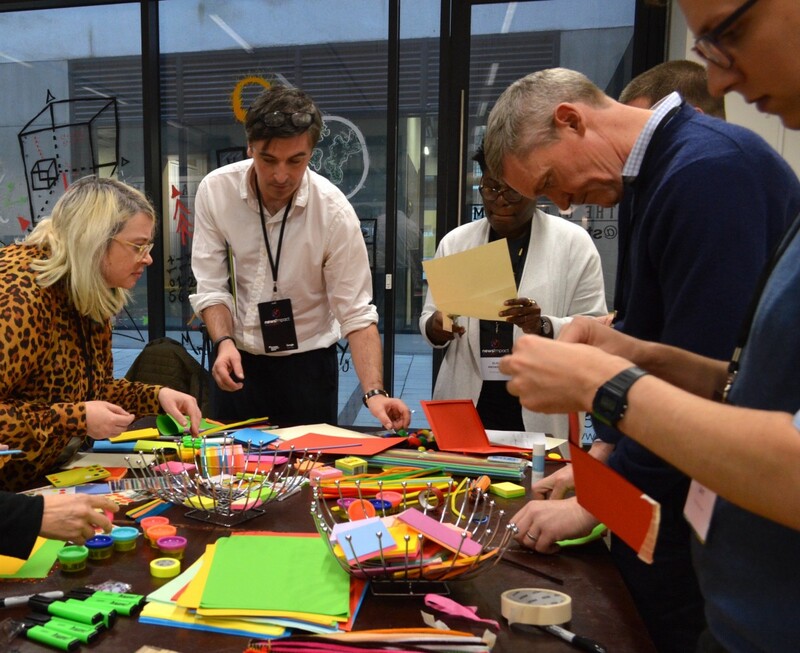 When we launched the News Impact Academy one year ago, we wanted to find out how journalists could use design methodologies for problem-solving and to innovate their day-to-day work. News organisations are now experimenting with building prototypes and testing new ideas with their users. 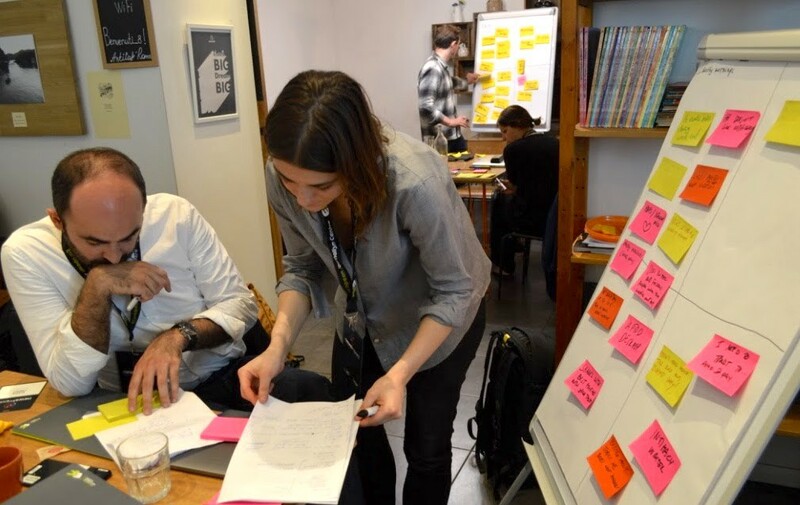 J-schools are incorporating design thinking courses in their curriculums and new research is shedding light on the opportunities found at the intersection of journalism and design. 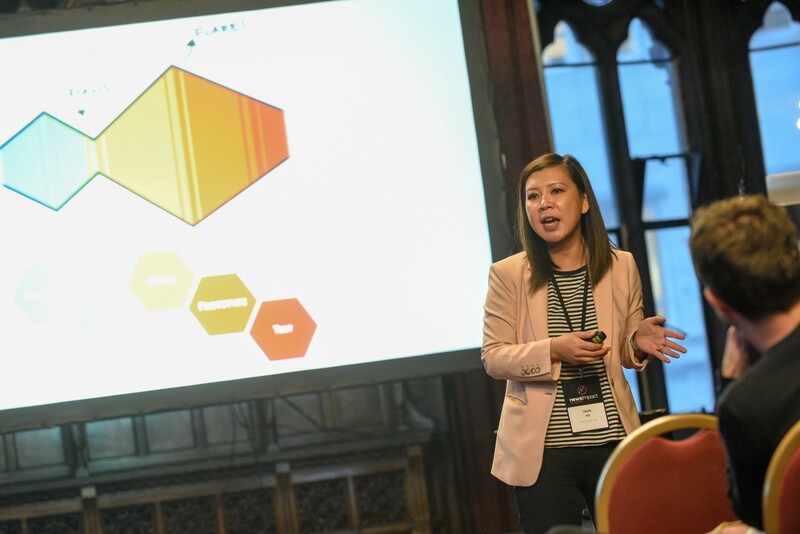 Last year, in the midst of setting up the Academy, we met and teamed up Tran Ha, an experienced design and business strategy consultant. Today, while we are getting ready for the first Summit and Academy editions of 2018, we sat down with Tran and asked about her thoughts on the use of design in journalism. In the past, when talking about “design” in a newsroom, we would automatically think about visual and graphic design. But what does it actually mean to adopt a “design mindset” in journalism? I think of a design mindset as a set of practices and the lenses through which we approach and work through problems. The key practices for me are focusing on the needs of the users, exploring both the problem and the solution space and embracing experimentation. How does design help us facing the current unpredictable and challenging media landscape? Navigating this much uncertainty and change requires a different way of working. We can’t analyse, predict or plan our way out of uncertainty. Instead, we need to experiment our way forward — building, testing and learning as we go. This mode of “prototyping to learn” is one of the key tenets of design thinking. Are there certain type of problems or situations in which adopting a design perspective can be especially beneficial? A design approach is helpful in many contexts. In my experience, it’s particularly useful when a problem is very complex or ill-defined, or when I’m exploring uncharted territory. Building empathy with the users is one of the key and first steps that any design methodology includes. Why is empathy so important? In order to uncover unmet needs and create truly effective products or services, we must understand the problem and/or experience from the perspective of the people for whom we’re creating. This is true no matter what you’re developing. It’s even more important with journalism because we live in an era of such information overload. To stand out among the noise and connect with audiences in a meaningful way, we need to know whom we seek to serve, the significance of their habits, what’s important to them and how we might provide unique value. And how can we meaningfully connect and understand what value we can bring to our users? It’s important to note that building empathy with users and audience members does not mean simply asking people what they want. It is also different from possessing demographic data about them or conducting focus groups or market research with them. Empathy is intended to deeply learn about the users/audience members themselves: it’s more about them than about what they think of you, your organisation or idea. Design thinking has become a buzzword lately and, in some cases, it is presented as an easy recipe for success and innovation. What is true about that and how can we make the most out of its 5-step process? The design approach has been widely and successfully leveraged to develop innovative solutions and improve user experiences in many sectors. But it is not a silver bullet to all the challenges we face, and it is certainly not easy — in fact, good design can be quite rigorous. What makes design thinking effective and differentiates it from other problem-solving methods? Instead of focusing on the end goal or the idea, we start with the user and his or her needs. Instead of rushing to solutions, we take time to understand the problem and frame it in a way that creates new possibilities. Instead of pouring all our time and effort into creating one perfect solution, we test multiple possibilities in low-risk, iterative ways. How can newsrooms and people working in journalism start adopting a design approach? Practicing design doesn’t require you to overhaul all your processes or double your headcount. You can start simply by picking one design practice or tool, and finding a small way to incorporate it into your day-to-day. You can build on it from there. Do you want to apply design in journalism? A hands-on training on how to apply design processes in the newsroom. This Academy edition is aimed at anyone working in the media industry who wants learn a new approach to problem solving. Combining expert talks, knowledge-sharing sessions and hands-on work, the 20 selected participants will unleash their creativity and put into practice design methods in the context of newsroom challenges. An event where to get inspiration and learn with some of the brightest minds working on journalism and design. With presentations, panel discussions, hands-on workshops and other collaborative formats, the Summits provide learnings attendees can bring back to their newsroom and easily implement. All the News Impact activities are free-of-charge and for the News Impact Academy travel and accommodation of the participants will be covered.